While it is important to provide a full explanation of the reasons why animal research and testing is important for modern medicine, it can sometimes be useful to have a handful of short pro animal research one-liners on hand. These work particularly well for Twitter – which is why each of our lines below includes a “Tweet This” option. So here is a short list (which we will be adding to over time) of reasons to support animal experiments. The physiological systems of humans and other species of animals are very similar Tweet this! Humans share more than 85% of their protein encoding DNA with mice. Tweet this! Animal research has resulted in the development of vaccines for some of the deadliest diseases (e.g. rabies). Tweet this! Medical devices, such as pacemakers and cochlear implants, were dependent upon animal research. Tweet this! Vaccinations for polio, tuberculosis, and diphtheria have all been developed through research on animals. Tweet this! Animal research plays a key role in the development of veterinary medicines for our pets. Tweet this! Survival of premature babies, from prenatal corticosteroids to life support machines, has relied on animal research. Tweet this! Cattle helped scientists create vaccines for smallpox, the HPV vaccine and treatment for river blindness. Tweet this! Local anesthetics, rabies vaccine, blood transfusions and statins were made possible by research on rabbits. Tweet this! Monkeys were key to developing the polio vaccine, antiretrovirals, and deep brain stimulation for Parkinson’s patients. Tweet this! Hip replacement surgery, kidney transplants and pacemakers were all developed through research on dogs. Tweet this! 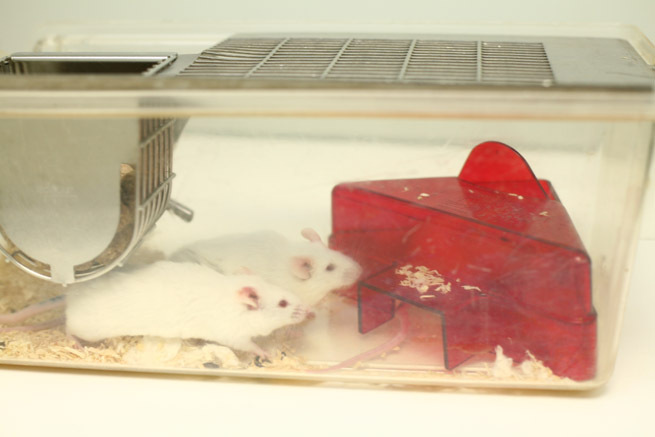 Mice played a crucial role in developing chemotherapy, the meningitis vaccine, penicillin and antirejection meds. Tweet this! 92% of scientists polled in a Nature survey agreed that animal research is essential to the advancement of biomedical science. Tweet this! 88% of the Nobel Prizes awarded in Physiology or Medicine have been dependent on research with animals. Tweet this! Over 99% of animals used in research are specifically bred for research. Tweet this! Approximately 95% of all animal research is conducted on mice, rats, and fish.Other species are used only when necessary. Tweet this! The USDA, which enforces the Animal Welfare Act, conducts unannounced inspections at least once a year. Tweet this! USDA inspection reports are posted online for the public to see. Tweet this! The Public Health Service (PHS) requires institutions to ensure appropriate care of all animals involved in PHS supported-research. Tweet this! An Institutional Animal Care and Use Committee is required by the Animal Welfare Act and PHS Policy. Tweet this! IACUCs oversee and evaluate all aspects of an institution’s animal care and use program. Tweet this! IACUCs inspect animal research facilities semi-annually to assure compliance with regulations. Tweet this! IACUCs include non-scientific members of the community to help evaluate research proposals. Tweet this! The Animals in Science Regulation Unit makes announced and unannounced inspections of all facilities in the UK. Tweet this! Dogs, cats and monkeys have special protection under UK law; other species must be used if possible Tweet this! All UK researchers must hold an animal licence and have attended a Home Office training course. Tweet this! The 3Rs – Replace, Refine, Reduce – are written in to the Animals (Scientific Procedures) Act, 1986 Tweet this! Animal research can only be carried out when there is no viable non-animal alternative. Tweet this! The 3Rs (replace, reduce, refine) guide how animals are used in biomedical research. Tweet this! Non-animal models, such as cell and tissue culture, are used in addition to animal models, but they cannot replace all animal research. Tweet this! All personnel involved with the care and use of laboratory animals must be trained to ensure the animals’ well-being. Tweet this! Many of the procedures carried out on animals involve no pain or discomfort, such as observing their behavior. Tweet this! Animal care technicians, veterinarians, and scientists are all dedicated to the welfare of laboratory animals. Tweet this! If you have suggestions for additional reasons why animal experiments are important, please contact us.